We all know very well that a graphics designer is a very poor coding. Almost everyone hates the coding. So they are dependent on the tools and online method that can easily convert PSD files to HTML. In today's tutorial I have found some tools through which you or any graphic designer can easily convert PSD files to HTML/CSS. This way it becomes very comfortable because you can design anything as you want and after that use free or paid PSD to HTML conversion tools. Below I have listed some top tools to convert PSD files in HTML format. There are many online tools available to do this job but most of them are premium services. But I have found some free methods to who can't afford premium services. 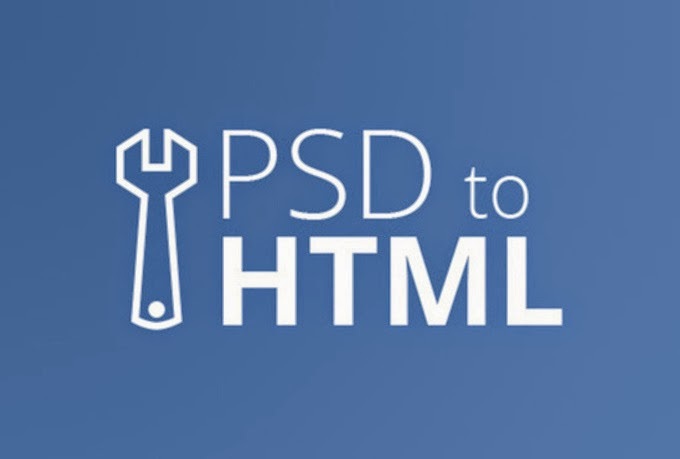 PSD To WEB is a free PSD to HTML converter. It will convert your Photoshop PSD files to HTML retaining original layers including positions as html div layer. Simply upload your .psd file, check HTML and PNGs and just download your files in seconds. This is another awesome tool that easily convert your PSD files in HTML. This tool is not free but you can get it for free. Here's a simple trick using it you will be able to use it for free. The trick is that just post their affiliate link on your blog/website/social page and send them a email support@psd2htmlconverter.com. Once your affiliate link is verified by them you can easily get a free copy of PSD to html/CSS converter. It's One of the best and trusted free psd to html converter tool available online. Jaddi will convert all your PSD layers into HTML, text layers into web-safe font. This tool will easily optimize your images and position them in correct locations. Just browse for the Photoshop .psd file and your file will be converted in seconds! It's a cloud based service which will convert your PSD file into CSS. It offers several types of services which can help you a lot in the conversion. Overall it's one of the trusted cloud service available online. These are the best free tools available online to convert your .psd file into html/CSS easily. If you are not in a stage of using paid services then take the full advantages of these free services.